If you want to sell your home, you need to be realistic about its value. Overpriced homes sit idle on the market, making it much more difficult to get an offer. Select the best agent to represent you, not the agent that tells you your home is worth an inflated price. Keep in mind that what you paid for your home and any improvements to the property do not necessarily line up with what your home is worth today. A good agent will compare similar properties that have sold, consider any differences, follow market trends and know what is available in current inventory to determine a range of value. Ultimately, the market drives the price. Market value can be a hazy number. Comparable sales data is a good place to start but houses that may have sold recently in adjacent neighborhoods may be very different from yours in appearance, floor plan and general condition. If you live in a condominium development, you will not be successful at getting a higher price if other similar units have sold for less. What you think of your home’s value does not matter. The potential buyer who makes an offer speaks volumes. This is the most critical time to market your house. A new listing priced competitively generates keen interest with buyers. Agents do not waste time showing their buyers an overpriced home. It is a huge mistake to list your home at a higher price for a couple of weeks and then lower it later. This is the period when the most interested buyers are looking. You will miss this wave of buyers with a high asking price. You cannot turn the clock back after you lower your price when you do not get an offer. Buyers will have already moved on to other properties. When you do finally decide to drop your price, your home is already an old listing. You will never get back the initial interest you would have had with a competitive price. Buyers think either something is wrong with homes that have been on the market awhile, or they will make an offer far below market value because a seller is desperate. If you overprice your home initially, you may have to settle for a lower price than you would have gotten with a competitive price from the start. 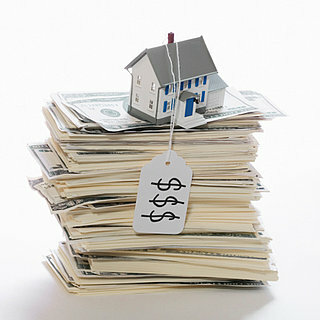 If you do not want to sell your home for market value, you probably should not sell at all.